As Earth Hour 2018 approaches, Jochem Verberne, Director of Global Partnerships at WWF, sets out how companies can put nature at the heart of business for mutual benefit. 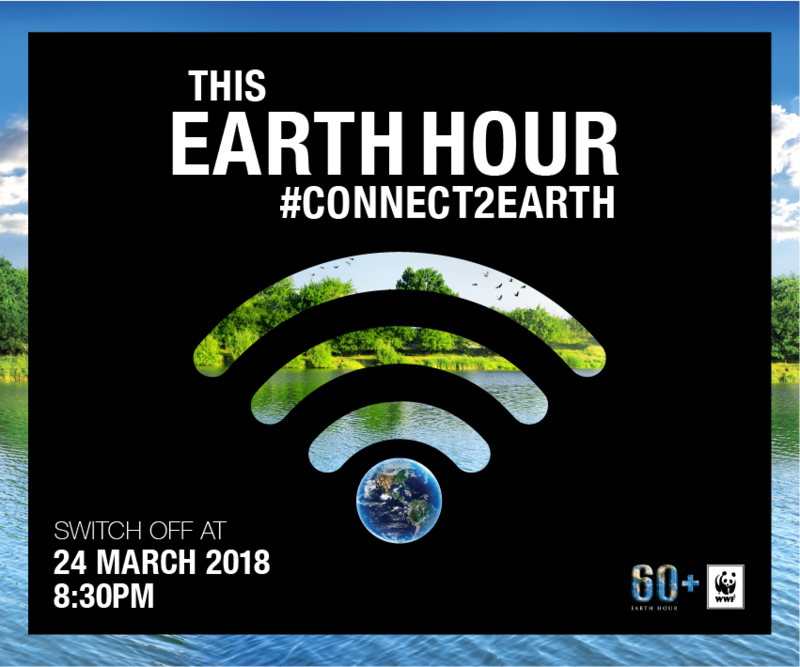 For Earth Hour 2018, at 8.30pm local time on March 24th, we are inviting the world to #Connect2Earth to spark a global conversation about our relationship with nature and how we can live more sustainably. At WWF, we accompany partners on a transformative journey — from mapping environmental risks and opportunities, through developing joint initiatives, to catalysing sector-wide change and restoring life on Earth. Understanding material impacts and exposure to environmental risk is the starting point. The World Economic Forum Global Risks Report 2018 identifies water as a top risk facing all sectors. Others include climate change, biodiversity loss and ecosystem collapse. Knowing your risks is a prerequisite for sustainability, like learning to walk before you can run. Using WWF’s Water Risk Filter to assess water risk and improve value chain management, H&M has pioneered water stewardship and inspired others by participating in platforms such as the CEO Water Mandate and the Sustainable Apparel Coalition. To assess all risks and dependencies, apply the Natural Capital Protocol. Creating milestones and using standards and new technology to reach them will demonstrate progress. A plethora of sustainability standards for commodities like timber, beef, soy and palm oil enable companies to track progress on resource stewardship, ensure security of supply and attract investment. WWF’s Climate Savers enables companies to set science-based emissions targets to keep global temperature increase below 2°C and boost competitiveness in a low-carbon economy. Walmart’s Project Gigaton is helping suppliers reduce greenhouse gas emissions by 1 billion tons by 2030 while through collaboration with WWF, IKEA is well on the way to sourcing all timber from more sustainable sources by 2020. Technology can also help meet milestones. The Pacific Islands’ tuna industry, for example, is using blockchain to help stamp out illegal fishing and human rights abuse. Working pre-competitively with peers and sharing challenges and achievements can improve efficiency and sustainability. Apparel brands, from Patagonia and Levi’s to Nike and Adidas, share suppliers. Working pre-competitively, they apply the Higg Index, an agreed set of environmental and social criteria, resulting in greater efficiency for both suppliers and buyers. Last month, Nestlé and Unilever published lists of all their palm oil suppliers and mills. Such transparency should push other companies in the $62bn sector to follow suit and help prevent trade with growers that continue to deforest or convert peatland. Transparency and pre-competitive collaboration are key for transformation at scale — and since 2014, WWF has disclosed information on all corporate partners. Helping your customers live more sustainably and make informed choices are key moves. Food, energy and water are critical resource challenges for any aspiring sustainability leader. Offering sustainable products to customers has become standard practice for many companies. And now plastic pollution is receiving the attention it deserves with calls to reduce single-use plastics. Although none of their journeys are complete, supermarket EDEKA is transforming its entire product portfolio, caterer Sodexo developing sustainable menus, IKEA using sustainability criteria for designing new products, H&M aspiring to be 100% circular, and M&S, the world’s most sustainable retailer. And The Coca-Cola Company aims to use up to 30% plant-based material in its plastic bottles by 2020 and collect and recycle the equivalent of all its packaging by 2030. Looking at the whole landscape where you source materials and energy, and jointly investing in nature with others can deliver transformative change. Surging global demand for rubber has led to rapid deforestation in southeast Asia, a region home to elephants, tigers and other endangered species. Reversing decline requires a landscape approach that looks beyond plantation and sector boundaries to address climate change, conservation and poverty. Michelin is working with suppliers and regional governments to encourage sustainable rubber, and the company’s zero deforestation policy has encouraged competitors like Bridgestone, Goodyear and Continental to take on sustainability. Companies can join WWF’s Landscape Finance Lab which blends public, private and impact investment. And new funds like the Green Climate Fund offer opportunities for financing $50–250m landscape-level programmes. Calling for the protection of the extraordinary diversity of life on Earth is the new frontier. Reaching and influencing decision-makers and billions of consumers is key in driving more sustainable behaviour but it’s a challenge no one organisation alone can meet. Last year, through #3890Tigers, Tiger Beer joined forces with WWF and artists in the fight against illegal wildlife trade. A creative digital campaign harnessed AI technology and enabled participants to transform selfies into unique tiger-inspired artwork. 2020 offers a once in a generation opportunity to make the restoration of nature a global priority. Corporate engagement in the renewal of Convention on Biological Diversity targets — like that behind the Cerrado Manifesto, which is supported by more than 60 multinational companies — will be vital in securing a plan that delivers. Innovating in bold, agile partnerships, coalitions and alliances offers the best return on investment. The SDGs and the Paris Agreement provide a universal agenda for change. It’s one with significant business opportunity. The SDGs could create 380 million jobs and unlock $12 trillion — but only through partnership. For Unilever, partnerships are core to realising its Sustainable Living Plan and the company recently joined forces with GlobeScan to explore how public and private finance can support new forms of collaboration that deliver transformational change and scale up entrepreneurship. Key elements for success are alignment and shared goals; the right partners for the task at hand; materiality for everyone involved; perseverance and commitment; and flexibility. There are of course many other ways for business to #Connect2Earth. What is not in doubt is that the time to act is now. If you are a business leader ready to spearhead innovation, accelerate sustainability and restore nature, WWF is ready to collaborate. 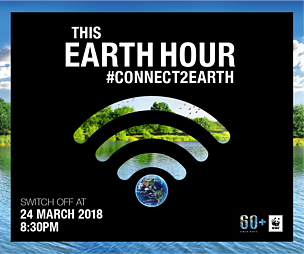 For now, the very simplest way to #Connect2Earth is to participate in Earth Hour.